I remember someone asking what the Ku-band data looked like on an SDR. 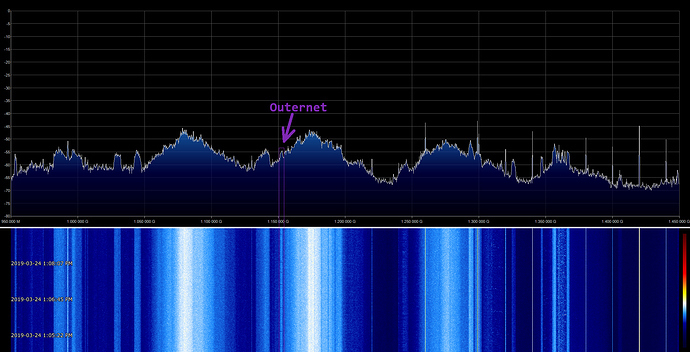 Using the Dreamcatcher to power the LNB, and a special splitter that doesn’t pass power through one port, I was able to hook my AirSpy to the splitter and see what the Dreamcatcher sees. 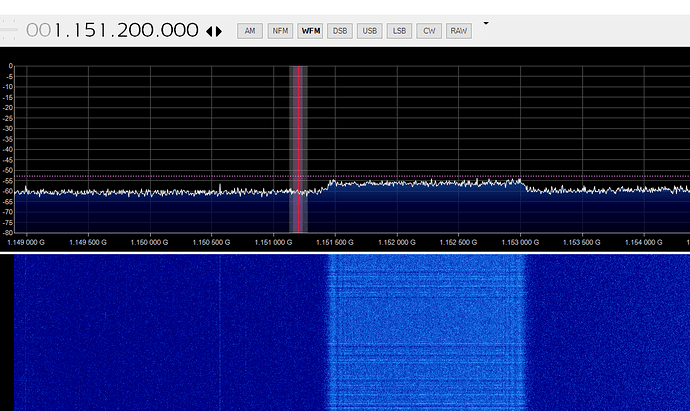 If my math is correct about the LO, then this is what the Othernet LoRa looks like in SDRSharp.